On Monday, China's relay satellite was finally brought close to the moon and successfully completed a series of transitions before being positioned in the desired orbit. According to the China National Space Administration's official statement, Queqiao, the relay satellite of China, is being braked near the moon and will now follow orders from Earth officials to enter a particular orbit required for the mission. 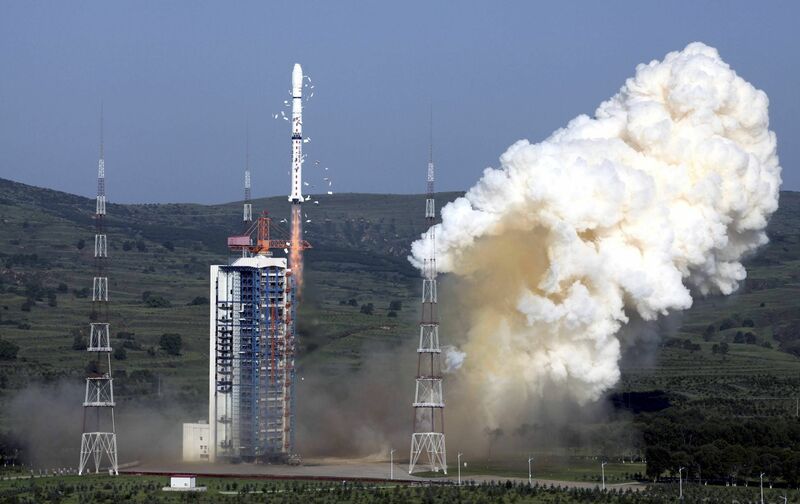 Queqiao is a 400 kg communications relay satellite launched on Monday, May 21, on a Long March-4C rocket, successfully launched from Earth toward the Moon. Once set up, it will provide a link between Mission Control and the Lander & Rover on the other side of the Moon. It's the first mission on the other side of the Moon, where Lander and Rover will land at Von Karman Crater in the South Pole Aitken Basin. The satellite slowed down its speed about 100 km above the lunar surface to enter a specific orbit called the second Lagrange (L2) point of the Earth-Moon system. According to the statement, there was a brief window to the brakes and the satellite had only one chance to complete the task, which was successfully carried out by the commands and commands of mission control. From now on, the satellite will burn its engine several times to set its orbit and enter a halo orbit around the second Lagrange point, where the object remains in equilibrium and steady state and maintains its relative position to the Earth-Moon system That's about 455,000 km from Earth. Queqiao is a state-of-the-art communications relay satellite with a fixed 4.2-meter radio antenna that picks up the transmission from the lander and rover, which are positioned on the other side of the earth's moon. Then it will forward the data to the operations management in S-band radio signals, which will help the scientists to analyze the hidden secrets of the other side of the moon. Queqiao is the first communications satellite in orbit around the Moon. It will act as a relay satellite for Chang & # 39; e-4 Rover and Lander, which will be launched later this year.